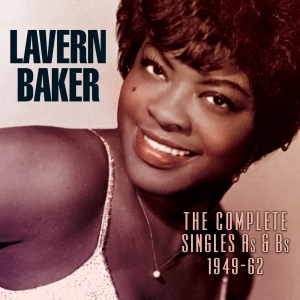 LaVern Baker was a one of the top female R&B singers of the ‘50s and early ‘60s, racking up a string of R&B and pop hits during her time with the Atlantic label. This great value 71-track 3-CD collection comprises every A and B side she released from her recording debut in 1949 through to her last Top 50 entry in 1962. It includes her first recordings with Eddie “Sugarman” Penigar’s Orchestra, her early ‘50s releases as Little Miss Sharecropper, and then with Maurice King & His Wolverines as Bea Baker, and with Todd Rhodes Orchestra billed for the first time as LaVern Baker, before joining Atlantic in 1953, and then includes all her releases for Ahmet and Nesuhi Ertegun through the next decade. It naturally includes her big hits with “Tweedle-Dee” “Bop-Ting-A-Ling”, “Play It Fair”, “Jim Dandy”, “Jim Dandy Got Married”, “I Cried A Tear” and many others - a total of 26 chart records during that period. She was a fine R&B stylist, with a broad enough appeal for many of her records to cross over to the pop charts, and this collection is an entertaining and thorough overview of her core career.